Marketing is the activity, set of institutions, and processes for creating, communicating, delivering, and exchanging offerings that have value for customers, clients, partners, and society at large (definition approved by the American Marketing Association). Marketing research is the gathering and analyzing of data about the best ways to advertise, sell, or distribute a particular product or service. Market research is the identification of a specific market and study of the size, location and other characteristics. Product research is the identification of a need or want and the characteristic of the good or service that will satisfy it. Consumer research is the identification of the motivations, preferences, reactions, and buying behavior of the targeted customer. Though often used interchangeably, market research is a subset of marketing research, and both concepts are integral parts of marketing. Advertising is a marketing tool used to capture public attention and influence purchasing decisions for a product or service. Find these key terms and more in the Business Insights: Essentials glossary. 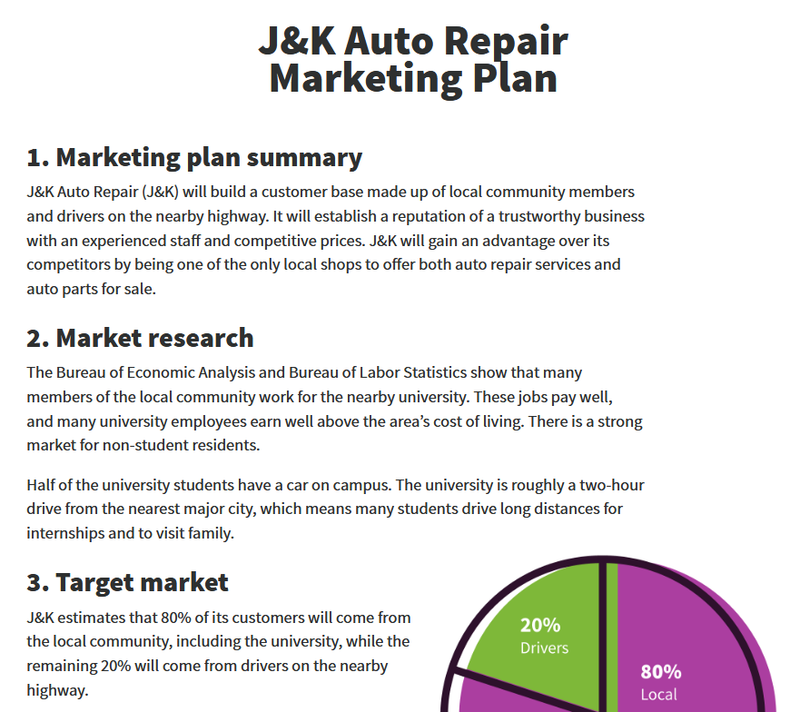 What goes into a successful marketing plan? The Small Business Administration's Marketing and Sales Guide features a Sample Marketing Plan to help you learn what to consider when it comes to marketing your business. Browse the Dewey Decimal Number 658.8 at any of our locations. Topics include business plans, human resources basics, accounting, marketing, social media practices and more. Topics include writing a winning business plan, managing and maximizing employee performance, how to use social media for your business, and more. Provides insight and analysis on the latest trends, tools and technology in digital marketing and advertising. An information and resource website for those involved in marketing, market research, advertising, selling, promotion and other marketing-related areas. A research institute specializing in tracking what works in all aspects of marketing.